Godrej Aerospace, a unit of Godrej & Boyce, has received order to manufacture 100 sets of airframes for air-launched version of the BrahMos supersonic cruise missile system, said the company in a statement. 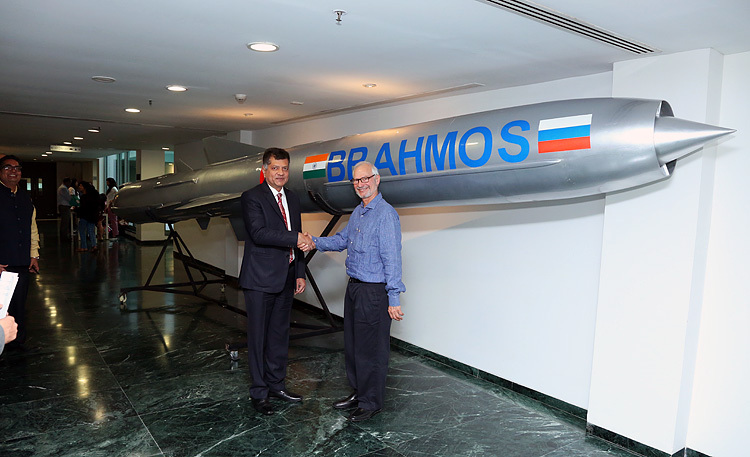 On December 5, in an event marked to celebrate the handing over of the "100th set of airframe assemblies to BrahMos Aerospace Pvt. Ltd. (BAPL) for use in its missile systems," Dr Sudhir Mishra, distinguished scientist and Director General (BrahMos), CEO and MD BrahMos Aerospace visited Godrej Aerospace and was handed the completion documents of the 100th BrahMos airframe by Jamshyd N. Godrej, Chairman and Managing Director, Godrej & Boyce. On this occasion Dr Mishra also congratulated Godrej Aerospace for winning the order for 100 units of airframes for air-launched version of BrahMos missile and start of its production. Indian Air Force, on November 22, successfully fired the BrahMos air version anti shipping missile from its frontline Su-30MKI fighter aircraft off the Eastern Coast. This was the first live test of the air version BrahMos. The airframe order for air launched BrahMos signifies the operational readiness of this version which had its first flight recently. Speaking on the occasion, Jamshyd Godrej said, "Godrej and BrahMos have been partners for 17 momentous years. Over that time, we have taken great pride in doing our bit for nation-building through our contribution to bolstering India’s defense capabilities. Therefore, it gives me great pleasure to hand over the completion document for the 100th set of airframe assemblies to Dr Mishra." Appreciating the "support and guidance of DRDO" in manufacturing technologies and in establishing a world class manufacturing infrastructure for one of the world’s most advanced missile, he said, "This is a proud moment for Godrej, Brahmos and India, and an assertion of our commitment to serve our country through technologically driven solutions and indigenous manufacturing." Acknowledging Godrej’s contribution in BrahMos manufacturing, Dr Sudhir Mishra said, "The delivery of the 100th set of combat worthy missile airframes marks another milestone in our long relationship. 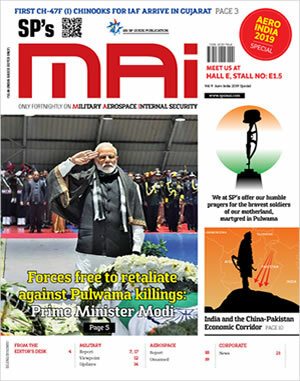 Going forward, I am confident our partnership will continue to set new benchmarks and serve as inspirational role model for indigenous development and production of sophisticated weapon systems." The BrahMos missile is a stealth universal supersonic cruise missile that can be launched from ships, submarines, aircraft and land based platforms. It can be used for precision strike to destroy targets on land and sea. Godrej Aerospace has been associated with BrahMos programme since its inception in 2001. Godrej is a dominant contributor manufacturing most of the metallic sub systems in the BrahMos missile. Besides the main airframe, Godrej supplies control surfaces and nose cap. Godrej also supplies the mobile autonomous launchers, missile replenishing vehicles for the land launched versions.